One piece of airgun aristocracy has gotten a little easier to own, thanks to FX Airguns’ latest addition to the Crown line of Pre-charged pneumatic air rifles: The FX Crown VP. “VP” stands for value priced. But, aside from replacing the 480cc carbon fiber bottle normally stock on the Crown with a 500cc steel air bottle, everything else is identical to a standard FX Crown. The best part is that you can upgrade to the carbon fiber bottle at any time, if you so desire. 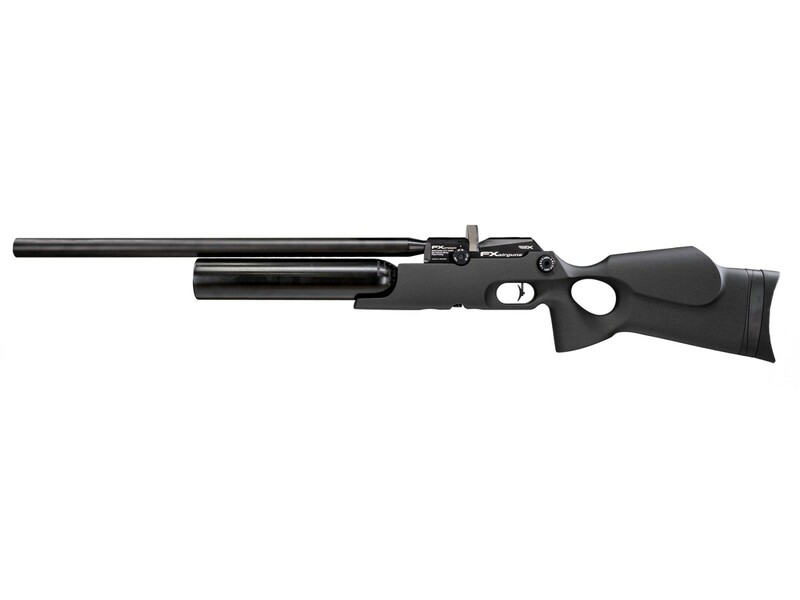 Wrapped in an ambidextrous, black synthetic thumbhole stock, this entry level model still incorporates all the precision components that have made the original Crown, first released in 2017, the iconic PCP air rifle it’s become in that short time. Some of these components include FX’s adjustable AMP regulator, Smooth Twist X barrel and interchangeable barrel liner system, external hammer spring adjustment and transfer port adjustment - just to name a few. Just fill the air bottle up to its 250 BAR (3,625 PSI) capacity and, depending on which caliber FX Crown VP rifle you choose, enjoy up to 200 consistent shots, thanks to the built-in regulator. The fully shrouded barrel keeps its downrange report low enough to allow for back-yard plinking and, with manufacturer-reported muzzle energies of up to 82 FPE (in .30-cal), the Crown can make for the perfect pest-elimination tool or small game hunter. 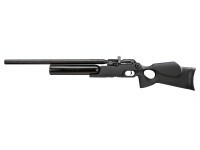 So go ahead - give your airgunning game the royal treatment and invest in one of the best with the FX Crown VP. Things I liked: I like the fact I can adjust the rifles internals externally. Such as the hammer spring, regulator and transfer port. The new crown unlike the first gen allows the user to adjust the regulator up or down with air in the rifle (AMP REGULATOR). AKA Adjustable match precision. This rifles adjustability for the end user is everything....with the ability to switch calibers on command (177-30 calibers) The new Smooth twist X barrel liner system with the ability to change barrel twist rates for shooting pellets and or slugs of different weights and sizes. This rifle is a tinkerers dream. Without having to be a expert air Smith. You are going to want to do your homework but fx has made it easier for the end user to play with the rifles settings. The triggers on all fx guns are one of the best coming in at around 12oz break and fully adjustable for length of pull, break weight 1st and 2nd stage. There is so much more to tell about this rifle. Youtube can help where I'm running out of space. Things I would have changed: The price is to much for most. The crown VP has got it down for 2k to 1350.00 and that's helpful for some but out of reach for most. There are also more Sharpe edges on the rifle then I would like to see. Maybe round of them edges more. Get ride of the telescopic shroud I think it's kind of gimmicky and put a moderator that thing. Offer a weaver scope base and add 20moa or so with in that scope base. Them no limit rings are SO EXPENSIVE. What others should know: With all expensive high-end air rifles do your homework, speak to real world buyers as they will know the rifle best. Know what your getting yourself into. With all air rifles, they will always need maintenance so if you cannot do the work yourself make sure to have someone that can. And as always enjoy the rifle. I know the hype can be so great we spend more time watching videos then shooting..... JSB 25 and 34 grain shoot great out of the pellet liners at 850 to 900 fps. I can not speak for slug liners there are plenty of guys doing the research and development on that end. Also dont be a fired to try other pellets as you mite find some that work for you.